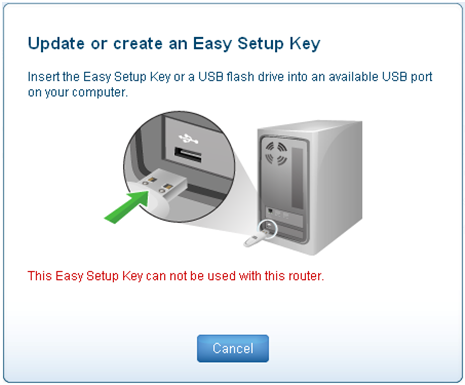 When you are trying to connect additional computers with the Easy Setup Key, you may encounter an error saying: “This Easy Setup Key can not be used with this router”. To resolve this error, you need to format the Easy Setup Key and create a new one. 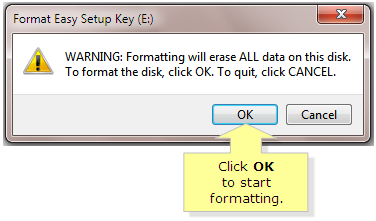 NOTE: Formatting your USB flash drive will erase all the data you have saved on the drive. To avoid losing the files, backup the data before formatting. Insert a USB flash drive into your computer’s USB port. 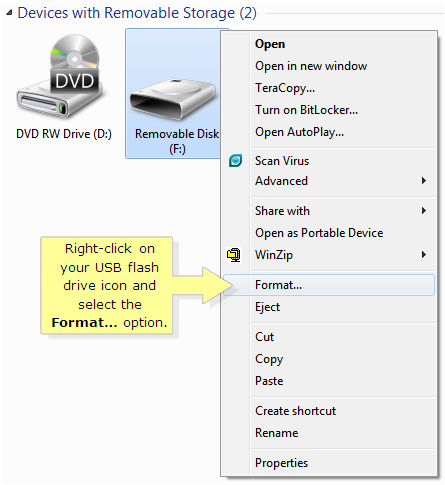 Right-click on your USB flash drive icon and select the Format… option. On the File system drop-down list, select your preferred file format and then click Start. 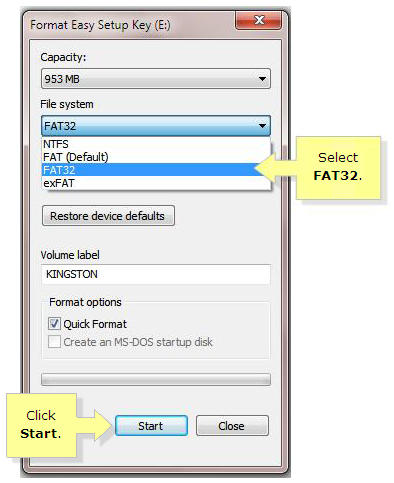 NOTE: In this example, the format selected is FAT32. Click OK to start the formatting process. Once the process is done, create a new easy setup key. For instructions, click here.